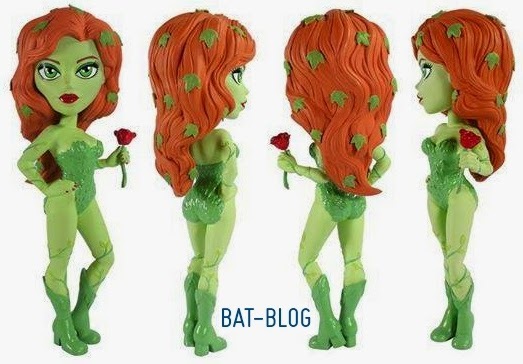 BAT - BLOG : BATMAN TOYS and COLLECTIBLES: New VINYL VIXENS Gotham Girls Figures Coming Soon From FUNKO TOYS! New VINYL VIXENS Gotham Girls Figures Coming Soon From FUNKO TOYS! I just got these semi-prototype photos recently and I know that a lot of BATMAN Fans out there will totally love them. I Present to you, VINYL VIXENS from Funko! These three Gotham Girls will be available at Hot Topic in the coming months (among other places). The first wave includes Catwoman, Harley Quinn, and Poison Ivy. Plus, there's a rumor that more DC Comics super heroines will be added to the toy line. My only regret in posting this is that I don't know how tall these figures are. But they do look pretty cool and I just might have to get that one of the Catwoman, MEOW! OK, I actually want all three, ha!